Want to know what’s viral right now? Like It Viral is exactly what you need! At Like It Viral we are devoted to bringing you everything that is trending in the online world as it happens. From the biggest most touching stories, to the latest trends in pop culture and hottest news about celebrities and their glamorous lives, we cover it all. 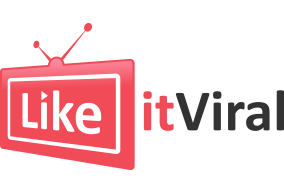 So, if you want to be the first to know what your favorite celebrity is up to or what stories are making people laugh or cry, you’ll find it all right here at Like It Viral. Our writers and editors live, eat and breathe pop culture. We are always on the hunt for the next big story, latest celebrity news and hottest trends to ensure our audience stays updated, engaged and never out of the loop.